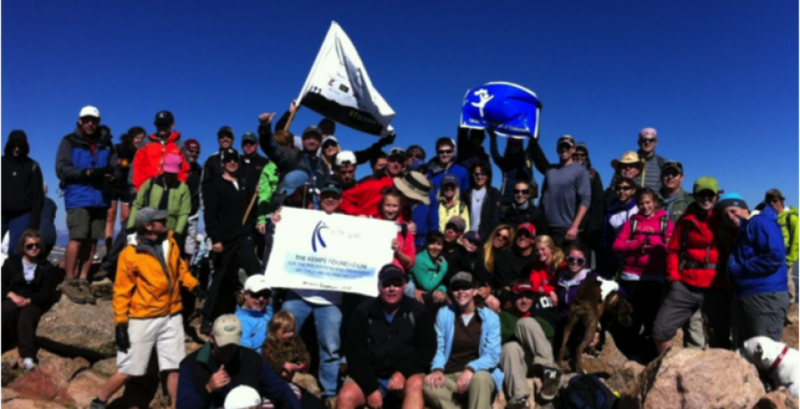 Next month, OTG is Climbing For Kids! It’s a great event and a great opportunity to get outside and support an awesome cause! Please come join us! Join the team, even if you are not planning to climb! and trailhead at 6 am. We know it’s early, but the objective is to get everyone up and off the summit by noon. Climber safety is our #1 goal, and getting off to an early start is key to accomplishing an incredible and safe day for everyone involved. have to be careful crossing. This is a great opportunity to establish the pace that is right for you. Remember, this climb is not a race and OTG stands for – Old Telecom Guys! people and make a difference. The push to the summit of Bierstadt includes some bouldering and some scrambling over large rocks. After about 2 hours of vertical hiking, the bouldering will test your limits, especially your lungs now that you’re at 14,000 ft in altitude. But don’t fear, “slow and steady” is the mantra of this climb. This has always been a great event! Come join the team! Bring your team from work, It’s a great bonding experience. Get some fresh mountain air, exercise and help raise some money for the kids!